Probable Contents: Incredible Hulk (1999) #112, Incredible Hercules (2008) #113-141, Hulk vs. Hercules: When Titans Collide, Assault on New Olympus Prologue, Hercules: Fall of an Avenger (2010) #1-2, Heroic Age: Prince of Power (2010) #1-4, Chaos War (2010) #1-5, Chaos War: Chaos King (2011) #1, Chaos War: God Squad (2011) #1, Chaos War: Ares (2011) #1, Herc (2011) #1-10 & 6.1, and maybe Deadpool Team-Up Vol. 2 (2010) #899. See below for a full reading order. Yeah, that would be a pretty big omnibus – it might have to skip Herc (2011). It already omits a run-up in Incredibly Hulk #106-111, which will be in the World War Hulk Omnibus. The issues feature Hercules, but aren’t necessary to understand his run. 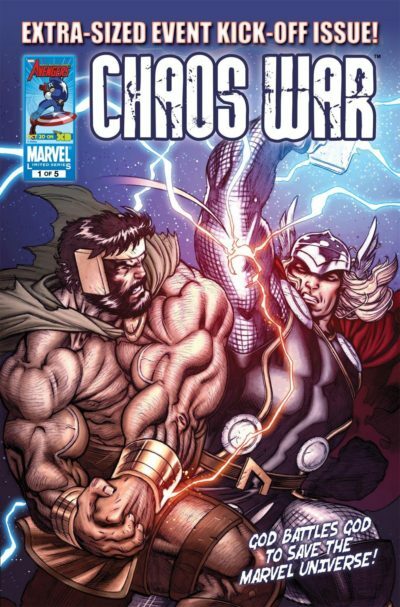 It also strands 8 Chaos War issues that don’t feature Hercules (plus 3 Hulk tie-in issues), but they’re not especially relevant to this omnibus (or especially good): Chaos War: Alpha Flight (2011) #1, Chaos War: Dead Avengers (2011) #1-3, Chaos War: Thor (2011) #1-2, Chaos War: X-Men (2011) #1-2, and Incredible Hulks (2010) #618-620. Can you read it right now? Yes! Visit the Guide to Hercules to see how all of these issues are collected. While their collections are out of print, none of them are terrible expensive. Or, just read it all on Marvel Unlimited – Incredible Hulk, Incredible Hercules, Hulk vs. Hercules, Deadpool Team-Up, Assault on New Olympus, Hercules: Fall of an Avenger, Heroic Age: Prince of Power, Chaos War, Chaos War: Chaos King, Chaos War: God Squad, Chaos War: Ares, and Herc. Hercules enjoyed his first starring turn in this three year run of titles after decades of being a supporting player in Thor and a member of the Avengers. This run didn’t emerge from either of those titles, but from The Incredible Hulk and “World War Hulk,” which harkened back to Hercules’s brief period in The Champions in the 1970s. In a surprising turn, after the event Marvel relaunched Hulk in 2008 and transferred Hulk’s Incredible title to Hercules. While in most instances this sort of switcheroo from Marvel doesn’t tend to last more than an arc or two, it was a rare smash success for Hercules. That’s due in large part to the powers of authors Greg Pak and Fred Van Lente, who love referencing continuity as well as packing their books with subtle moments of comedy. 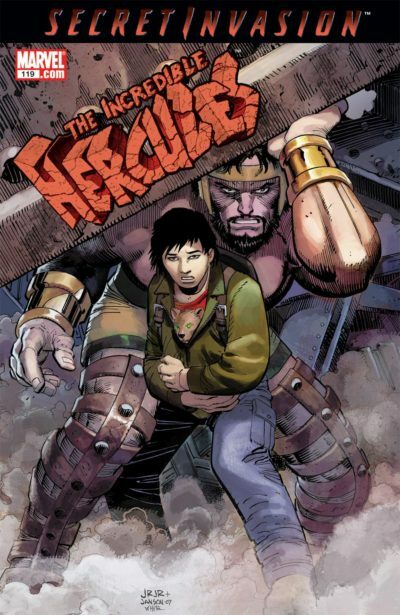 Another significant part of the book’s success was pairing the sometimes hapless Hercules with a counterpart, Pak’s Amadeus Cho – a young Korean super-genius who gives Hercules direction and also brings out his dedication to family. 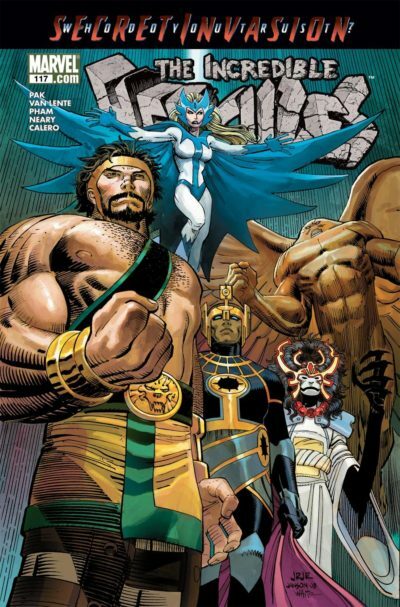 Together, they assemble a team of Marvel’s other C-list gods (the character you’re most likely to know is Alpha Flight’s Snowbird) to defend the earth in Secret Invasion, which then spins into a decidedly DC-flavored plot about the machinations of the Greek pantheon and the Amazons. After Hercules dies at the end of his run, the focus shifts to Cho – now known to Marvel’s heroes as well as the gods. He defiantly takes a position in Athena’s business front in order to try to revive his deceased companion, whose soul wasn’t simply residing in hell. The returned Hercules amasses Earth’s heroes to battle his former God Squad ally The Chaos King, who has absorbed the powers of Nightmare. As a result, he puts all of Earth’s populations (heroes included!) into a deep sleep, leading Hela to open the gates of Hel to allow deceased heroes to fight in defense of Earth – with the promise that some may earn back their lives. 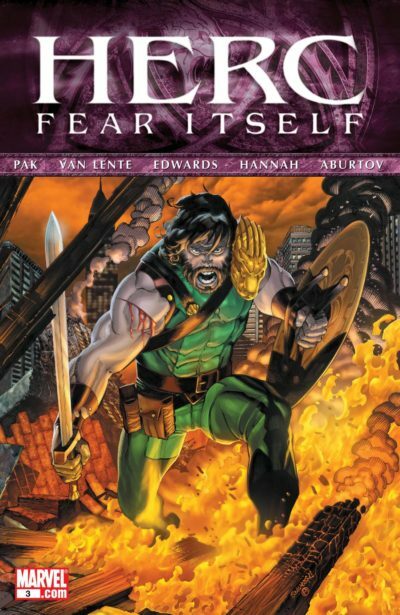 Ultimately, Hercules makes a significant sacrifice to return Earth to normal, which leads to the 11-issue run of Herc (2011), which recasts him as a street-level hero. Will we see this omnibus in 2018? No. While this run has many fans, Hercules generally isn’t one of Marvel’s most-sustainable characters. He doesn’t appear in Marvel’s films, and his All-New, All-Different Marvel series fizzled in just six issues. Also, neither Grek Pak nor Fred Van Lente are Marvel exclusive authors nor are they mega-stars on whose name the book can be marketed. Basically: none of the stars are aligned to motivate Marvel to market this mega-hunk of omnibus. Would I recommend buying it? Sadly, I think the answer is no. Despite this title amassing plenty of vocal fans at the time it was released (and me actually nominating it for a vote! ), no matter how many times I revisit it I’ve never really been hooked by the story. In reviewing the issues for this post, I didn’t get that magic “this is great” feeling I’ve had from the contents of some of the other omnibuses on the list. That’s not to say the run isn’t worth reading or worth omnibusing. Aside from being the only real Hercules run of note, it’s extremely well-constructed by Pak and Lente and full of a charming cast of supporting players. While isolation is good for many modern runs so that they can develop at their own pace, ultimately I think it hurt this one. Hercules took his place as one of the most-important heroes on Earth, but no other book in the Marvel Universe really took note – which lead to most fans trashing the Chaos War mini-event despite it being a fine continuance of the themes of the Hercules run. Maybe if you don’t approach the run with my baggage as a reader at the time you’ll enjoy it in the present day more than I have. This series snuck up on me and made me fall in love with it. Hercules was never a favorite of mine. I read the Bob Layton solo stuff I enjoyed, but didn’t really care for him in other books. When I first read Amadeus Cho, I couldn’t care less. But when this series came out, the characters grew and bonded and won my heart. The story of Hercules, who had always been written as an impulsive, combat loving, brawler, having to mentor a genius kid was wonderful. The second season of Stranger Things pulled a similar odd couple when Steve and Dustin that reminded me of this title. Hercules having to be the voice of reason was a great twist. And the overall story of gods adapting to the modern times was well done. I have this entire series in TBP, but would happily upgrade to an omni (or two?) and hand down my trades.